The Association of Marital and Family Therapy Regulatory Boards (AMFTRB) offers the Marital and Family Therapy (MFT) examination for people who are working toward obtaining a license or certification. Since people who would like to obtain these certifications have many different types of academic experiences, the test is meant to be a standard way to find out if the candidate knows enough to operate a practice at a beginner level. The MFT exam is also a way to make sure the evaluation is the same among the different states. Each candidate has to meet specific academic and work eligibility requirements before taking this test. This objective-based assessment is formed with 200 multiple-choice items. Candidates are given four hours to finish. Since the score is based on how many answers are right, it is better to try to answer every question. Each state board has its own standard for the MFT exam score needed to pass. 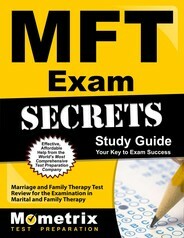 How to pass the MFT Test! Which of the following is a major strength of Bowen family theory? What must a therapist present to the patient before an effective teaching moment can occur? Reflective listening is a useful tool in marital counseling. What are the four main components of this Rogerian technique? A common difficulty when teaching self-disclosure is. limited time to teach the needed skills. the need to place limits on what can be disclosed. that the patient may not understand the difference between thoughts and feelings. A: “its attention upon past family interaction as a means by which to avoid future problems:” Helping the patient in identifying and understanding the reasons for past family behavior offers an aid in dealing with present and future problems and is a time-efficient approach, as well. A: “marry an eldest daughter:” Bowenian therapists believe that personality characteristics can develop because of the order in which an individual is born into a family. In this case, for example, a youngest son may be accustomed to being doted upon and cared for. By contrast, the eldest daughter is accustomed to taking care of others. Therefore, the youngest son and eldest daughter may compliment each other’s needs well. C: “the rationale for learning the skill:” The first step in a systematic training procedure is to provide a rationale for the desired skill. The patient needs to understand how the skill will be of benefit to him or her. Following providing the rationale, the therapist can facilitate skills demonstration and practice, and then provide appropriate feedback. B: “empathy, congruence, acceptance, concreteness:” Empathy reflects the therapist’s desire to “get inside” the speaker’s thoughts, and congruence relates to the therapist’s openness. Acceptance implies respect for the speaker, and concreteness indicates the need to keep things specific rather than vague and unfocused. All four components are necessary for successful reflective listing. D: “that the patient may not understand the difference between thoughts and feelings:” Teaching a patient effective self-disclosure includes an understanding of the difference between thoughts and feelings. Urging patients to talk about how they contribute to the relationship and about themselves in general may also naturally lead to disclosures about feelings. 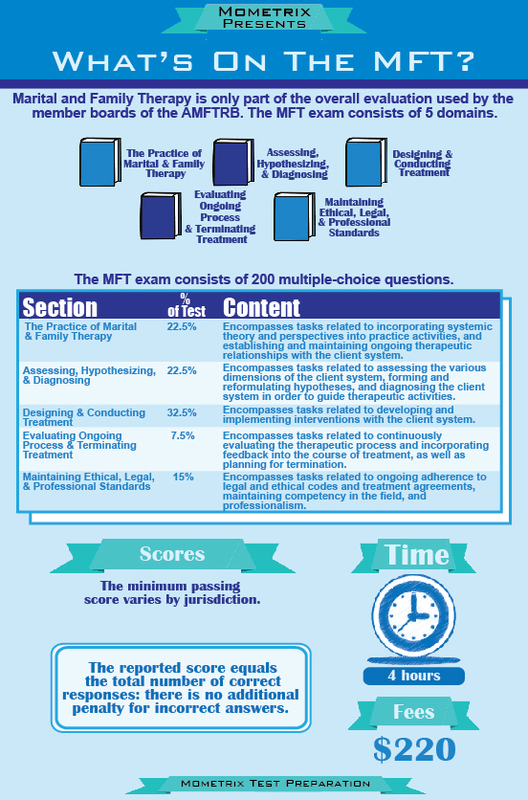 Ace the MFT test using our MFT exam study guide with practice questions. 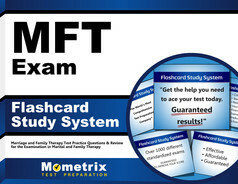 Quickly Solve Difficult MFT Test Questions with the MFT Flashcard Study System.